From War to Wisdom (2017) was directed by Cpl. Josh Hisle (USMC, retd.) an Iraq War veteran and graduate of Miami University. 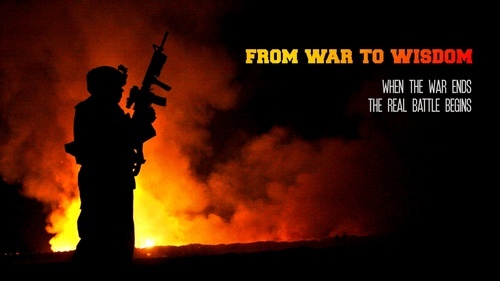 His haunting documentary follows the journey of an elite group of Marines; combat veterans who have survived the battlefield and the challenges of coming home, and are now fighting to serve their fellow veterans on the home front. A select panel of veterans will respond to the film immediately after screening, opening the floor to comments and questions from the audience.